Ospreys centre Ben John has moved to Newport Gwent Dragons on a month-long loan. 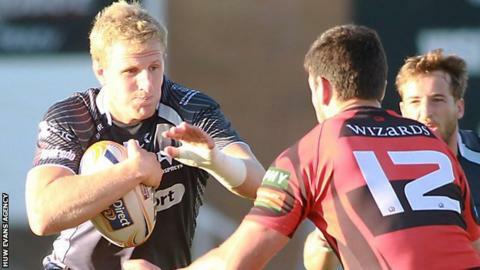 Ex-Ospreys boss Lyn Jones' side have been hit by a glut of back division injuries and Ospreys say John, 23, will benefit. Andrew Millward, Ospreys' rugby general manager, said: "The logic behind this move is pretty straight forward. "Ben needs game time at this level to keep him match sharp, and the Dragons need a centre to cover for injuries." Millward says the loan is a sign of how regional rugby should operate. "It's an agreement that suits all parties, and is exactly how regional rugby should work," said the former Ospreys prop. "Ben will get some time on the field while out on loan and come back ready to challenge for the Ospreys jersey." John has made 33 Ospreys appearances.